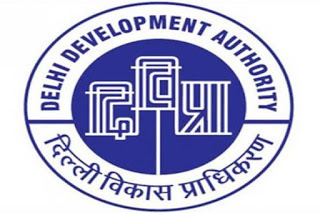 DDA Jobs Recruitment Notification 2018.Delhi Development Authority, DDA inviting applications for the positions of Consultant Junior Translator.Interested and Eligible candidates can apply for the positions. 1. Vacancy Name: Consultant Junior Translator (Official Language), Consolidated remuneration per month - Rs.45,000/- Per Month. 2. Qualification and Experience: Master’s Degree from a recognized University or equivalent in Hindi with English as a subject at the Degree Level; Or Master’s Degree from recognized University or equivalent in English with Hindi as a subject at the Degree Level; and Recognized Diploma/Certificate Course in translation from Hindi to English and vice-versa or two years’ experience of translation work from Hindi to English and vice-versa in Central/State Government offices / Public Sector Undertaking/ Autonomous bodies. 1. The criteria for selection shall include the marks obtained by the candidate in the required essential qualifications for the post, relevant experience along with the marks obtained in interview. 2. DDA reserves the right to impose a minimum cut-off percentage of marks in the essential qualifications obtained by the prospective candidates in case of large number of applicants turn out for the interview. The decision in this regard will be taken on the spot, no representation of any kind shall be entertained in this regard. 1. The posts are temporary and engagement is purely on contractual basis initially for a period of 06 (six) months which may be extended further depending upon the requirement and satisfactory performance and will confer no right to the candidates for permanent employment against the said posts. Candidates are requested to bring duly filled in Application form (in prescribed format), 02 passport size photographs and all original documents along with one set of self-attested photocopies of the documents in support of the educational qualification and experience, if any, on the date of interview. 2. The candidates are advised to report for walk-in-interview on the scheduled date latest by 10:00 AM at Facilitation Desk, Delhi Development Authority, Vikas Sadan, INA, New Delhi-110023, failing which they will not be allowed to appear for interview under any circumstances. Walk-in-interview on 25.07.2018.